Here at Nomaterra, travel is kind of our thing. Be it a quick trip to the beach over the weekend or a grand European excursion, we can't get enough of the amazing world that we live in. This love for travel is a big part of what inspired our perfumer, Aggie, to create Nomaterra, and to create fragrances that we could easily take with us wherever we went. 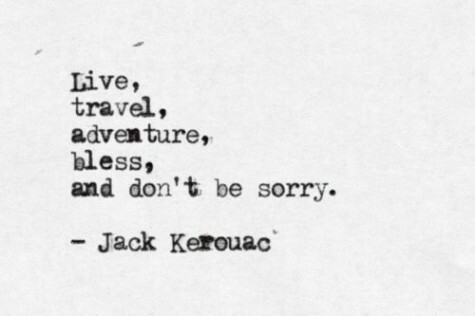 In honor of the concept behind our brand, we're loving this quote from Jack Kerouac, easily one of the most well-known figures to have been struck with wanderlust.